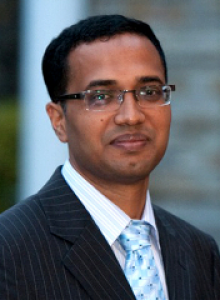 Prof. Alam joined the Atwater group in January 2015 as a KINI Prize Postdoctoral Fellow. He received his Ph.D. from the University of Toronto, and his M. A. Sc. from the University of Victoria. For his Ph.D. research work he received the Douglas R. Colton Medal for Research Excellence, which is given to one researcher in Canada every year in recognition of excellence in research in microsystems and related technologies. His research interests include plasmonics, integrated optics and optical sensing. He is now an Assistant Professor at Queens University in Kingston, Ontario, Canada.